Draft: 2009, Los Angeles Dodgers, 2nd rd. Billy Burns singles on a ground ball to second baseman Carlos Sanchez. 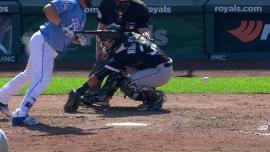 Kendrys Morales hit by pitch. 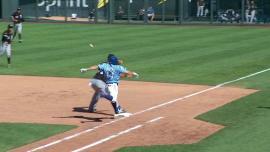 Eric Hosmer to 2nd. With Jason Kipnis batting, Rajai Davis steals (36) 2nd base. January 23, 2017 Chicago White Sox signed free agent RHP Blake Smith to a minor league contract and invited him to spring training. January 23, 2017 RHP Blake Smith assigned to Charlotte Knights. December 2, 2016 RHP Blake Smith elected free agency. September 6, 2016 Chicago White Sox selected the contract of RHP Blake Smith from Charlotte Knights. March 27, 2016 RHP Blake Smith returned to Chicago White Sox from San Diego Padres. March 27, 2016 RHP Blake Smith assigned to Charlotte Knights. 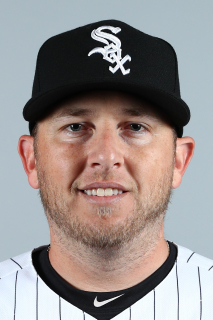 December 10, 2015 San Diego Padres claimed Blake Smith off waivers from Chicago White Sox. June 7, 2015 RHP Blake Smith assigned to Charlotte Knights from Birmingham Barons. May 24, 2015 RHP Blake Smith assigned to Birmingham Barons. May 23, 2015 Chicago White Sox traded LHP Eric Surkamp to Los Angeles Dodgers for RHP Blake Smith. May 22, 2015 Tulsa Drillers placed RHP Blake Smith on the temporarily inactive list. March 4, 2015 RHP Blake Smith assigned to Los Angeles Dodgers. 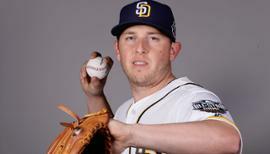 September 3, 2014 RHP Blake Smith assigned to Glendale Desert Dogs. June 7, 2014 Blake Smith assigned to Chattanooga Lookouts from Rancho Cucamonga Quakes. March 10, 2014 RHP Blake Smith assigned to Los Angeles Dodgers. June 28, 2013 RHP Blake Smith assigned to Rancho Cucamonga Quakes from Chattanooga Lookouts. March 1, 2013 OF Blake Smith assigned to Los Angeles Dodgers. September 20, 2012 Blake Smith roster status changed by Chattanooga Lookouts. September 7, 2012 Chattanooga Lookouts placed RF Blake Smith on the 7-day disabled list retroactive to September 5, 2012. April 3, 2012 RF Blake Smith assigned to Chattanooga Lookouts from Rancho Cucamonga Quakes. March 30, 2012 OF Blake Smith assigned to Los Angeles Dodgers. August 23, 2011 Blake Smith roster status changed by Rancho Cucamonga Quakes. August 16, 2011 sent RF Blake Smith on a rehab assignment to AZL Dodgers. April 4, 2011 RF Blake Smith assigned to Rancho Cucamonga Quakes from Great Lakes Loons. March 24, 2011 OF Blake Smith assigned to Los Angeles Dodgers. June 16, 2010 Blake Smith assigned to Great Lakes Loons from Ogden Raptors. June 3, 2010 Blake Smith assigned to Ogden Raptors from Great Lakes Loons. April 4, 2010 Blake Smith assigned to Great Lakes Loons from Ogden Raptors. July 13, 2009 Blake Smith assigned to Ogden Raptors from AZL Dodgers. July 5, 2009 AZL Dodgers signed free agent Blake Smith. June 29, 2009 Los Angeles Dodgers signed RF Blake Smith.